An Early History of the US Mountain Rescue Association: Mountains Don’t Care, But We Do! 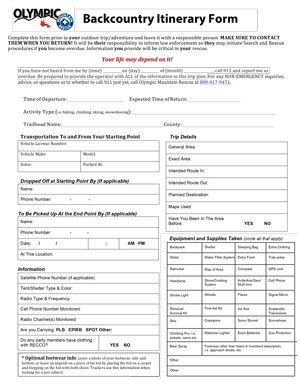 Downloadable Backcountry Itinerary Form to help friends and family know your intended route, timeline, and other pertinent information. The 4th Edition of the Climber's Guide to the Olympic Mountains, prepared by Olympic Mountain Rescue (OMR), provides a major expansion of the very successful 3rd Edition. 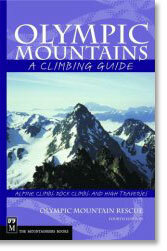 Historically, this guide has emphasized Alpine Climbing and High Alpine Traverses. The scope has now been expanded to include new chapters covering: Classic Alpine Rock Climbs, Crags and Sport Routes, and Bouldering Locations (get out your crash pads). The introduction and chapters on Ski/Snowshoe tours and Mountain Safety have been expanded and updated, as has the entire book. Without compromising the book's primary purpose (detailed and accurate information on mountain travel), great care was taken to add as much historical and biographical information as possible. This 4th edition contains 366 pages and includes nearly twice the information provided by its predecessor. The author has made every attempt to continue the longstanding practice of providing detailed and accurate route descriptions for nearly every peak in the Olympic Range (over 300 peaks). To this end, approximately 50 new peaks and supporting route descriptions have been added. Lavishly illustrated to ensure maximum usefulness, the new book contains: 1) 60 quality photographs of the peaks, valleys, flora and fauna within the range; 2) Approximately 100 maps and peak sketches, all of which provide detailed information on roads, trails and routes. 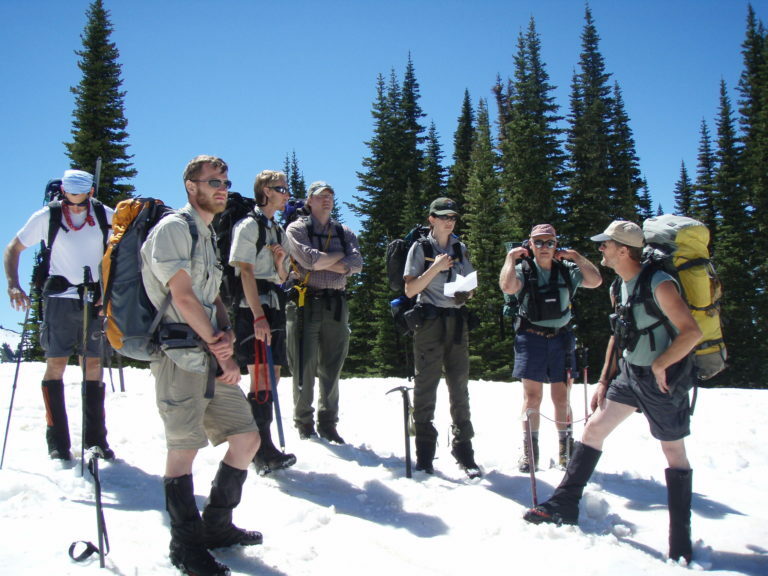 In addition to the detailed description, each route provides the degree of difficulty (climb rating) and the expected time required for the average party to reach the summit. Olympic Mountain Rescue hopes you find this guide to be a faithful companion and a useful tool for your mountaineering endeavors in the Olympic Mountains. Climb safely and travel far; the view from the top is always good!